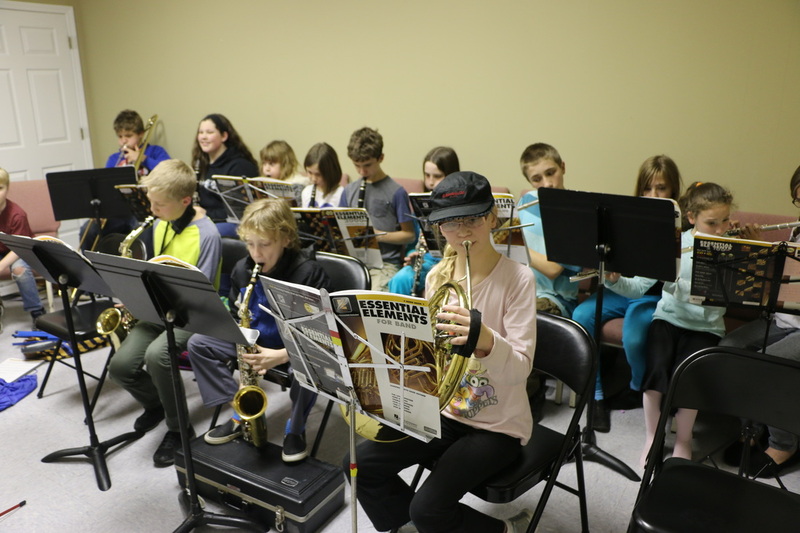 First year band students will enjoy learning to play a wind or percussion instrument. They will learn many skills, music elements, music vocabulary, reading and writing skills all while learning to play many short pieces on their instrument! There will be two performances, one in December and one in May. This class is best for students in 4th grade and up. ​Concert attire is black pants/skirts and white shirts/blouse, black shoes. For the first day of class students should have their instrument and the Essential Elements 2000 Book One (for the appropriate instrument). Most local music stores carry this series or you can purchase it on Amazon.com. A music stand and pencil are also helpful.